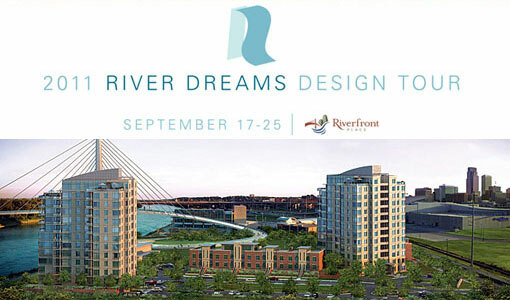 September 17th through 25th, Riverfront Place is proud to host River Dreams, an exclusive showcase event benefiting The Bemis Center for Contemporary Arts. Over the past few months, the Bemis Center has been working with the Riverfront Condominium developers to fill the new residential towers with great contemporary art. From the high-end lobby space to the timeless residential floors, this collaboration reflects the best of both organizations. As the art consultants, the Bemis Center team provided artwork by local artists and historical photographs of Omaha that reflect the context of the riverfront setting. River Dreams will offer a rare glimpse into the creative visions of both the Bemis Center and some of Omaha’s most cutting-edge design firms, for a limited 9-day public engagement. Come tour three distinct condos showcasing the latest in contemporary art, architecture and environmental design. High-rise living combined with high-end design right here in Omaha.